Geneva- The series of violations committed by the Iraqi government forces inside Iraqi prisons is appalling, said the Euro-Mediterranean Human Rights Monitor. Arbitrary and unjust trials for thousands of detainees, including hundreds of children, based on false accusations or suspicion of affiliation to the Islamic State of Iraq and al-Sham—“ISIS” are unacceptable, added the human rights nonprofit. Sarah Pritchett, a Euro-Med spokeswoman. Following battles the Iraqi forces and the militias have together fought against the Islamic State in Baghdad and Erbil, tens of thousands have been arrested on suspicions that they may be part of the militant group. Arbitrary arrests were carried out without investigation, legal measures or sufficient evidence, said the Geneva-based Euro-Med Monitor. 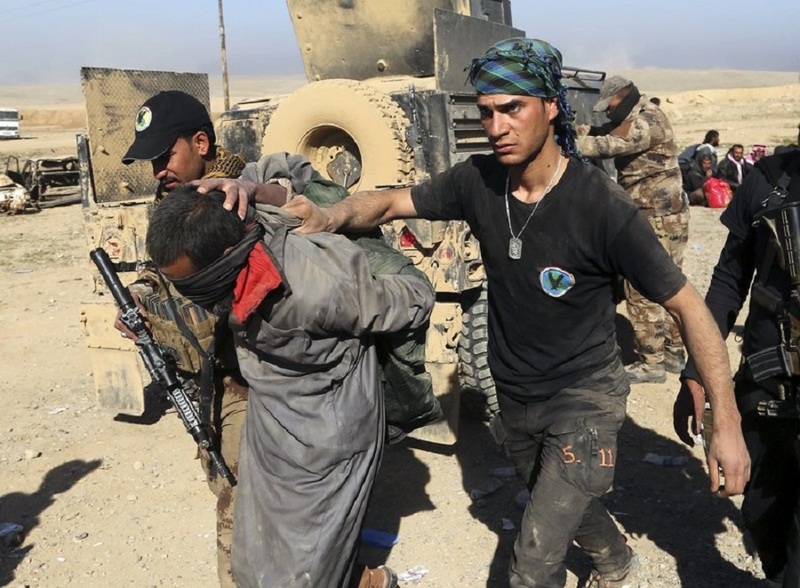 The wide-scale arrest campaign led by government forces together with the militias from areas where ISIS was in control has led to the execution of more than 96 people and the detaining of at least 20,000 others on suspicion of belonging to or supporting ISIS. Most of those arrested are suffering from serious violations, while guarantees of a fair trial are almost non-existent. In addition, detainees are often prosecuted under the vaguely worded ‘anti-terrorism’ laws. The result of such laws has been the detention of hundreds of people, accusing them of membership to ISIS without the slightest proof of any link to the group. In most cases, detainees are not convicted of a specific crime; rather, they are only detained based on mere charges of being part of ISIS. “It is quite understandable that the Iraqi government has arrested those who carried out terrorist attacks against the Iraqi people, but not when the Iraqi government is using this pretext to justify mass arrests without sufficient legal measures and due process, while also extending periods of arbitrary detention,” said Sarah Pritchett, a Euro-Med spokeswoman. The testimonies gathered speak of how detainees in prisons are living under tragic conditions; deprived of the most basic human and legal rights, and some of them have been subjected to torture”, added Pritchett. The series of violations committed during the battles against ISIS have resulted in a severe deterioration of the human rights situation—especially with sectarian militias and foreign militants taking part in the fighting. Euro-Med Monitor has documented reprisals and horrible abuses against civilians, in addition to unjustified targeting of families who had members in ISIS. “In light of the lack of government and international supervision over armed sectarian militias and groups in Iraq, more abuses, retribution, torture and arbitrary arrests have been carried out while violating the rule of law,” said Tareq Allewa, a Euro-Med legal researcher. He also added, “false, baseless accusations and arrests have been carried out against possibly innocent people, thanks to trial measures, the Iraqi justice system and the vaguely worded anti-terrorism laws applicable in Iraq and Kurdistan. Euro-Med Monitor pointed out that law no. 27/2016 known as “General Amnesty Law,” and issued in August 2016 in Iraq grants amnesty to anyone who can prove that he or she joined ISIS or any other extremist group against his or her will and has not committed serious crimes until this issuance of this law. It also grants amnesty to those accused of certain crimes. However, judges rarely apply this law even when its conditions are met. Euro-Med Monitor calls on the Iraqi authorities to adopt a national strategy that guarantees judicial integrity without sectarianism where those involved in committing violations and acts of violence are prosecuted, whether they belong to ISIS or are members of the militias and the government forces who participated in the fighting inside the ISIS-controlled cities and areas. The human rights organization also calls on the Iraqi government to release those detained without evidence.